TUESDAY, March 12, 2019 -- Vaccines are big news in the United States these days. Meanwhile, the flu continues to plague all parts of the United States so the flu shot is still worth getting, according to the U.S. Centers for Disease Control and Prevention. Some folks pinched for time might not have all the vaccinations they want or need, but they may not realize that their local pharmacy is a place to get vaccinated without the hassle of a doctor's visit. "People who are working and can't take off work to get to a medical office, this provides an opportunity for them to still get an important health care service and not have to leave work or lose pay because they're going to a clinic to get it done," said Mitchel Rothholz, chief strategy officer for the American Pharmacists Association. Since the early 2000s, pharmacists have been able to receive certification to deliver a wide variety of vaccinations for people of every age, Rothholz said. There currently are more than 340,000 pharmacists trained to administer vaccinations in the United States, Rothholz said. However, the vaccines available at your local pharmacy can vary widely depending on where you live, experts say. State law governs which vaccinations can be delivered by a pharmacist. Common adult and senior vaccinations are available at just about any pharmacy in any state, said Stephan Foster, vice chair of the University of Tennessee College of Pharmacy. Flu shots, pneumococcal pneumonia vaccine and shingles immunization are the most common. Out of 170 million flu shots delivered last year, about 28 million were given in a pharmacy, Foster said. Less common adult vaccinations, such as tetanus or measles/mumps/rubella (MMR), might be available through your pharmacy but aren't as common, Foster said. "Most people don't come in and ask for a tetanus shot," he said. The same also goes for shots you might get to protect against exotic diseases prior to travel, such as yellow fever, cholera or hepatitis. The age at which a person can receive vaccinations through a pharmacy varies by state as well, experts say. 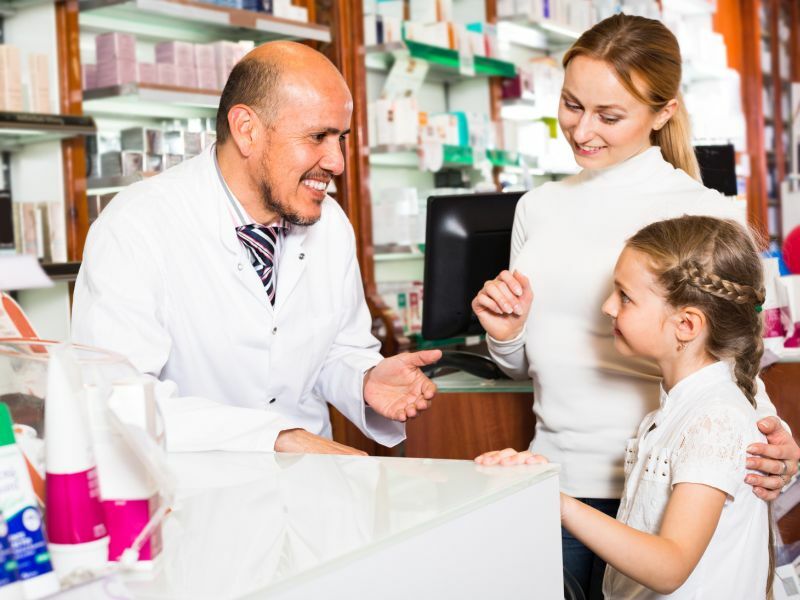 Some states allow pharmacists to immunize people at any age, while other states require that the person be an adult or be 7 or older, Foster said. The American Pharmacists Association does not encourage pharmacies to vaccine kids younger than 7, Foster added. "Pediatricians use vaccines as a means of getting babies back in for well-baby checkups, and we don't want to interfere with that practice," Foster said. Pharmacists are trained to help educate people about needed vaccinations, and they can answer your questions even if they involve shots they don't personally provide, Rothholz said. Pharmacies also often host immunization clinics run by public health officials or local doctors, he added. This practice has been a boon for some, particularly people who live in remote areas, Rothholz said. "In rural areas, people would have to drive two hours to get to the public health department, but there was a pharmacy halfway in between," Rothholz said. "The pharmacy could serve as an alternate satellite site for the public health department to make it easier for people to access those services." Check with your pharmacy or with your state health department to see which vaccines are legally provided through pharmacies, and what age limits exist under state law, the experts recommend. If you do get vaccinated, check to make sure that your pharmacy will report your shot to both your doctor and your state's immunization registry, Foster and Rothholz recommended. "I think that's real wise," Foster said. "If the pharmacist doesn't do it, then the patient should." The Immunization Action Coalition has more about where to get vaccinated in your state.